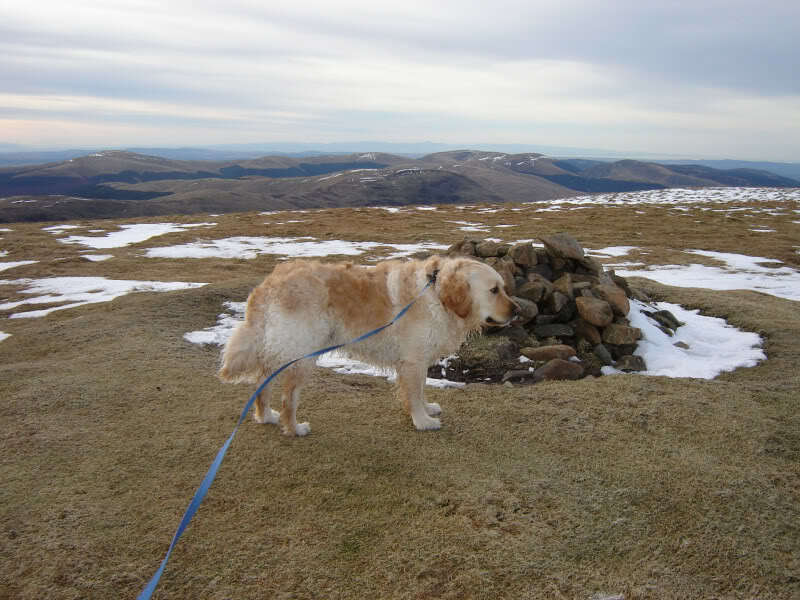 In March 2008, I ascended Molls Cleuch Dod (my first Donald) en-route to ascending White Coomb (Corbett). 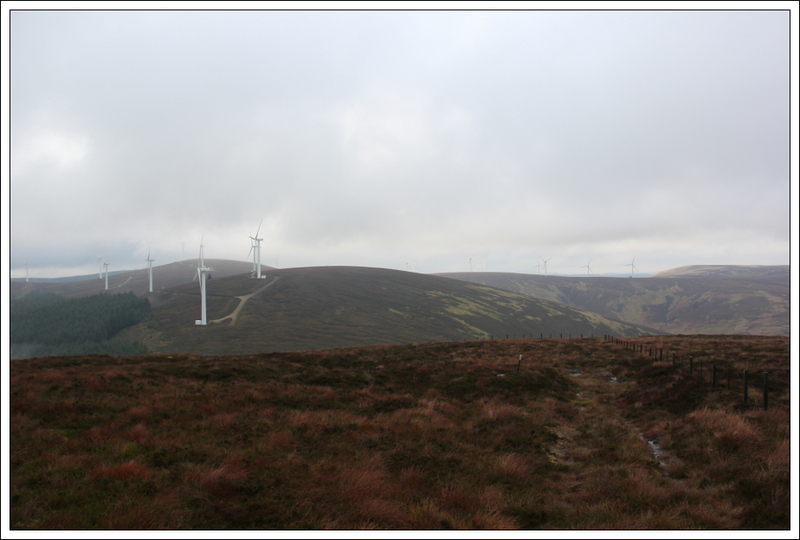 On this walk I also ascended Lochcraig Head and Broad Law. 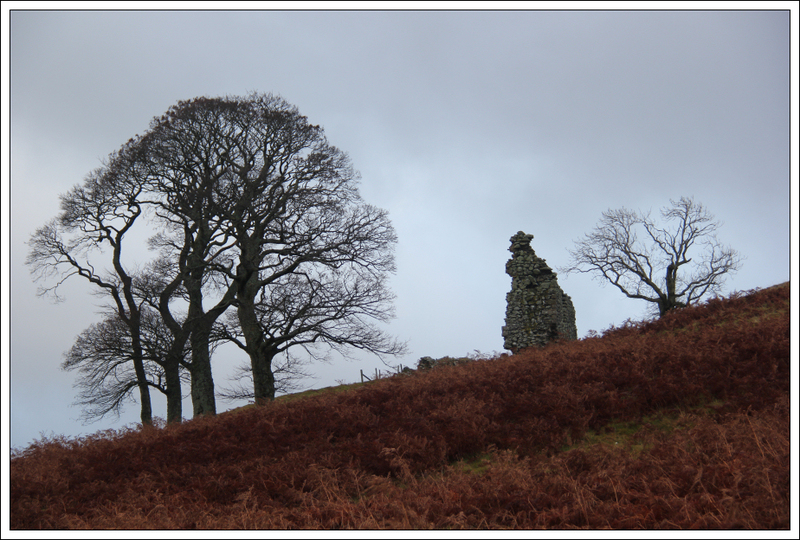 I enjoyed the company of Beinn on this walk. 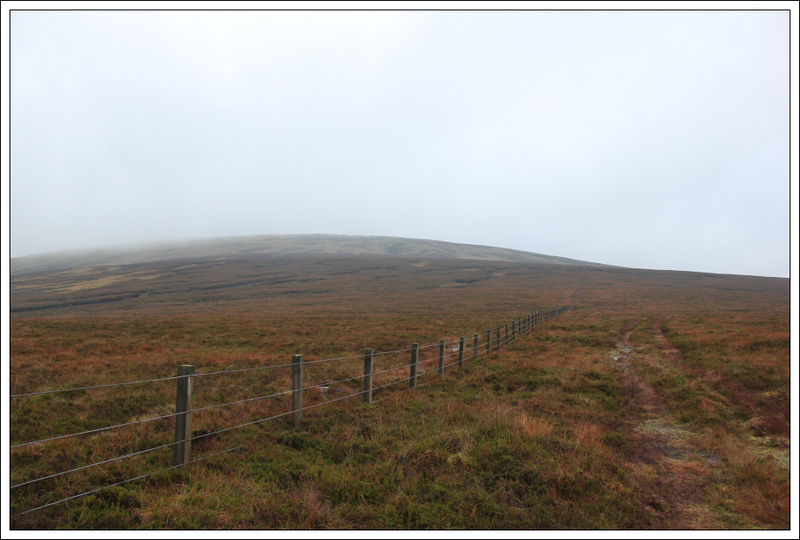 Later in 2008, I revisited the Southern Uplands to ascend Shalloch on Minnoch and the Merrick. I was on a Corbett mission at the time! However it wasn't until 2009, when I spent a week based in Moffat, that I started to keep a note of which Donalds (and New Donalds) I had ascended. I have walked all New Donalds on my own with the exception of 20 New Donalds ascended with my friend John (ascended in one week) and 13 New Donalds ascended with Beinn. So what is a Donald? 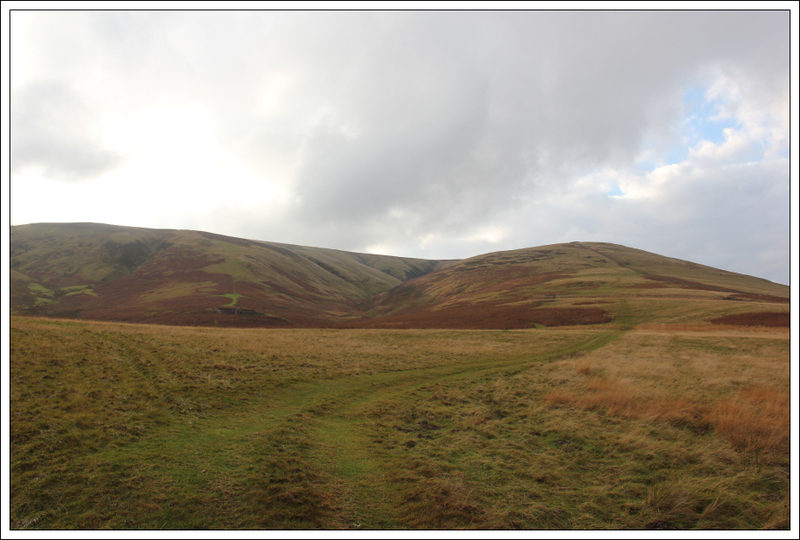 A Donald is a hill in the Southern Uplands above 2000ft in height with a drop of at least 100ft all round. However according to the Database of British Hills the definition also requires, "more than 17 units from the main top of the 'Hill' to which it belongs, where a unit is either one-twelfth of a mile measured along the connecting ridge or one 50-foot contour between the lower Top and its connecting col."
Percy Donald listed 89 hills meeting the above criteria which come to be known as "the Donalds". So what is a New Donald? 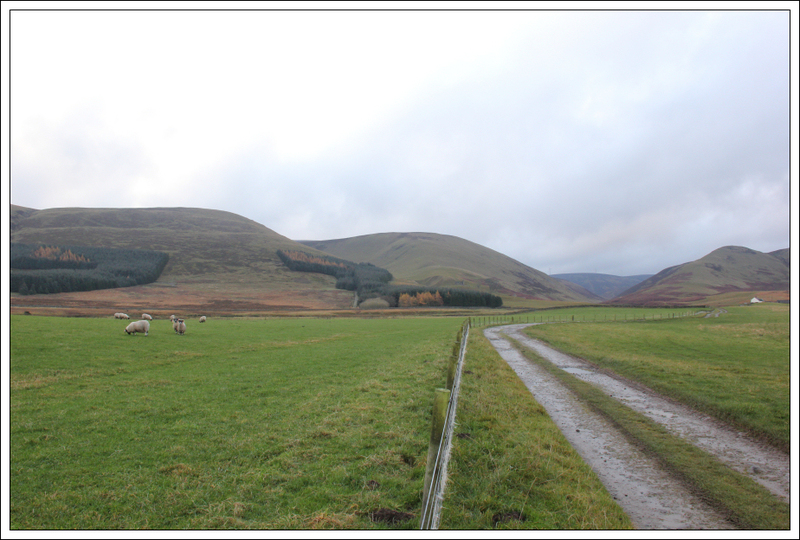 A New Donald is a hill in the Southern Uplands above 2000ft in height with a drop of at least 30m all round. This simplified, decimalised criteria, first listed by Alan Dawson (Marilyn fame), has 118 hills which meet the criteria. So what words would I use to summarise the Donalds? 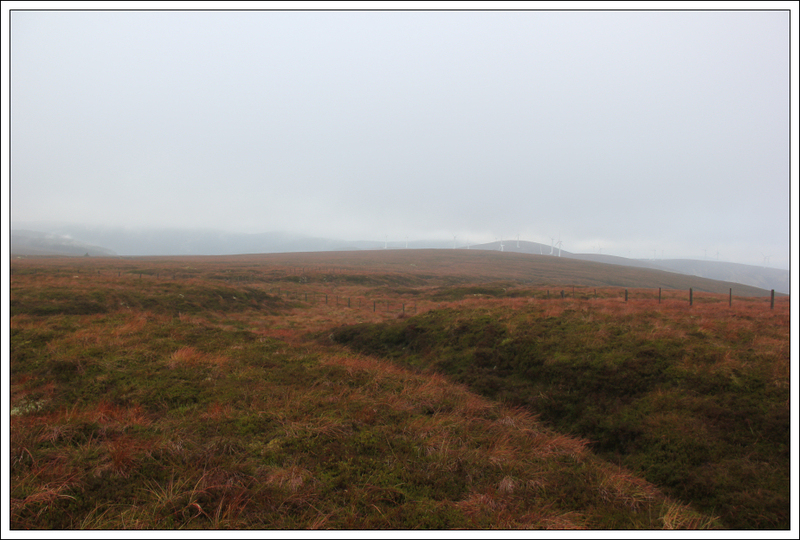 Bog, Fences, Mist, Bog, Dykes, Rain and not forgetting more Bog! So why all this blurb at the beginning of my report? As of this morning I had ascended all but three Donalds/New Donalds. Today I set out to hopefully complete the Donalds and New Donalds. 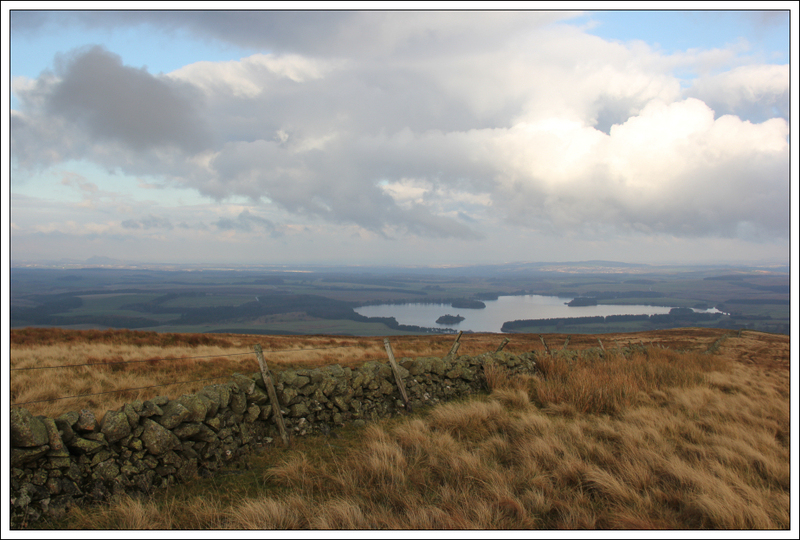 I drove to and parked at the Gladhouse Reservoir circa 900m from Moorfoot. There is a sign advising, "No Parking Beyond This Point." 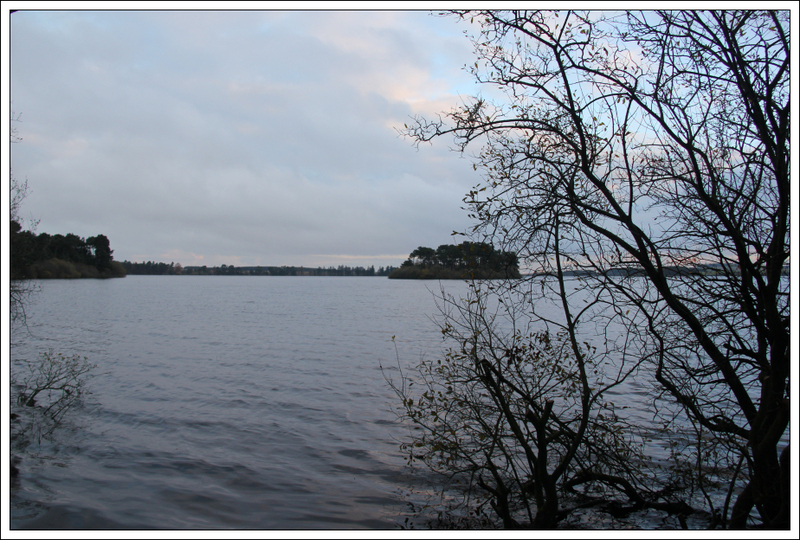 Before commencing my walk I took a photo of the reservoir. 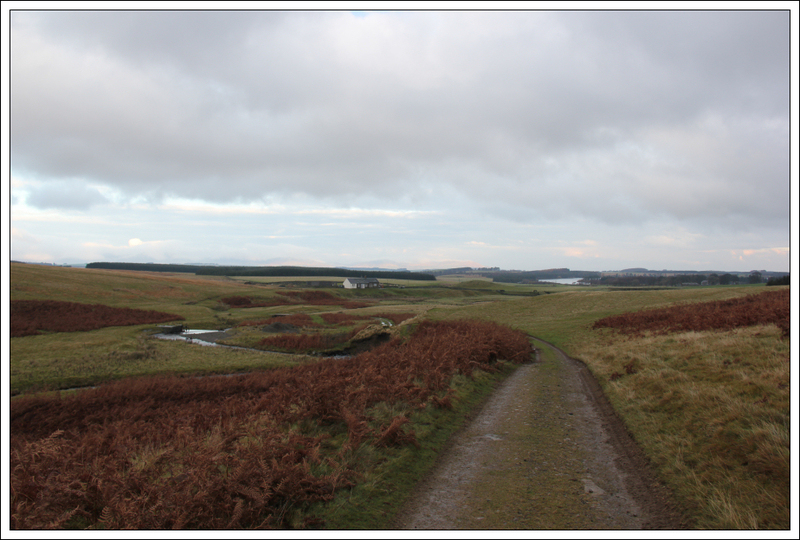 From the car park I walked 900m along the road to reach Moorfoot. 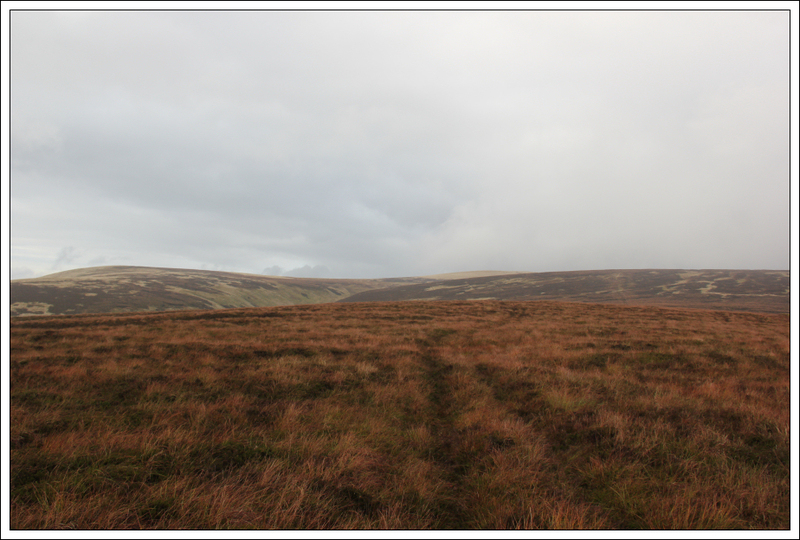 On reaching Moorfoot I took the track leading towards the Moorfoot hills. The weather and visibility today weren't perfect but at least it was dry. 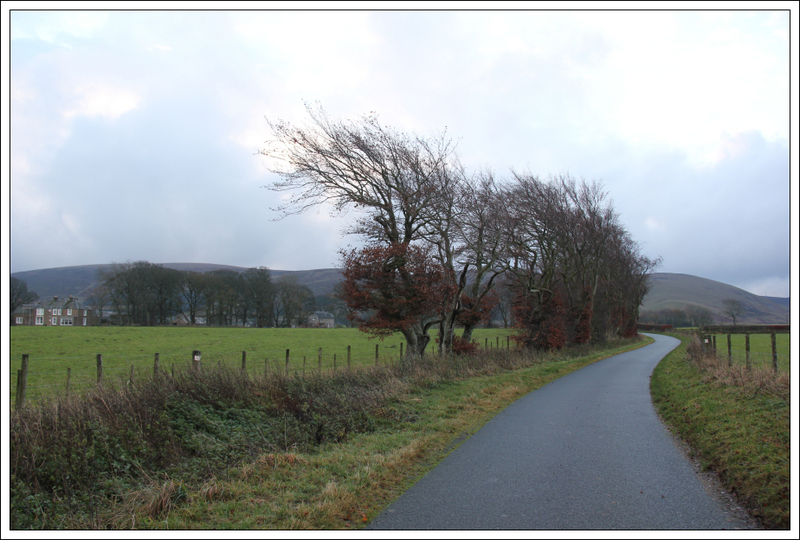 The excellent track made for fast progress along the glen. 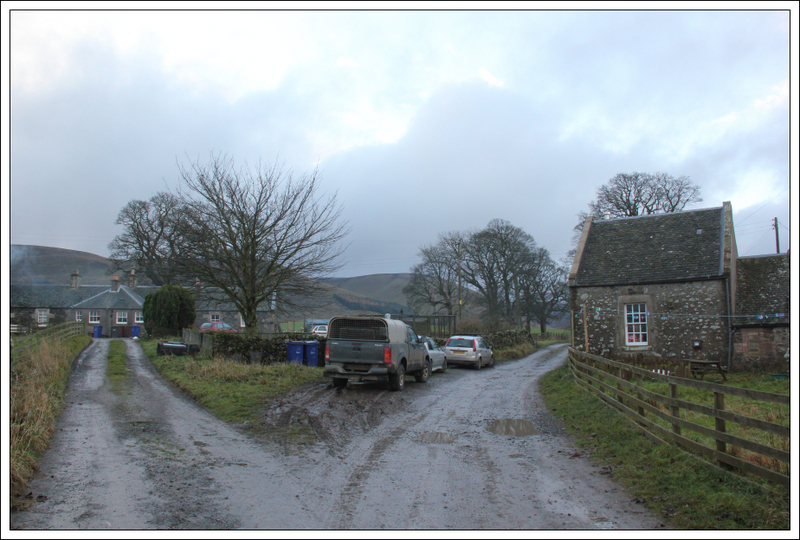 On reaching Gladhouse Cottage, I saw a man set off walking with numerous dogs. 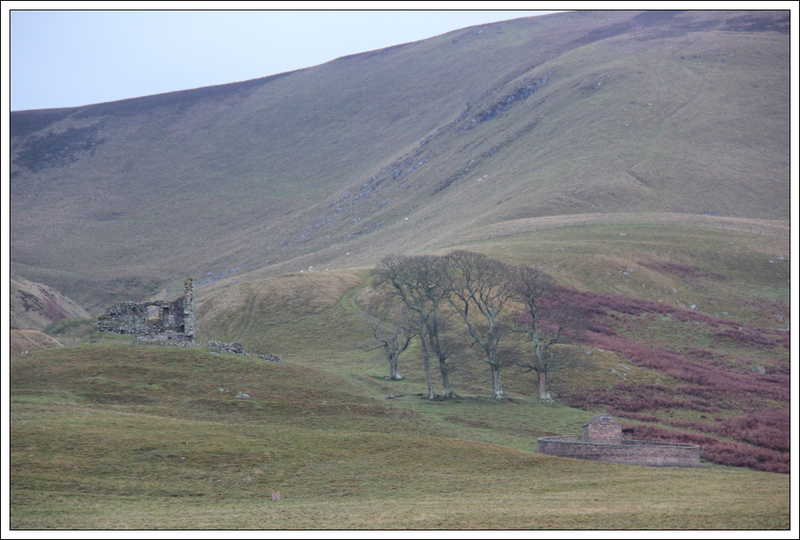 Nearby the cottage I stopped to take a photo of Hirendean Castle. This castle was apparently built in the sixteenth century. 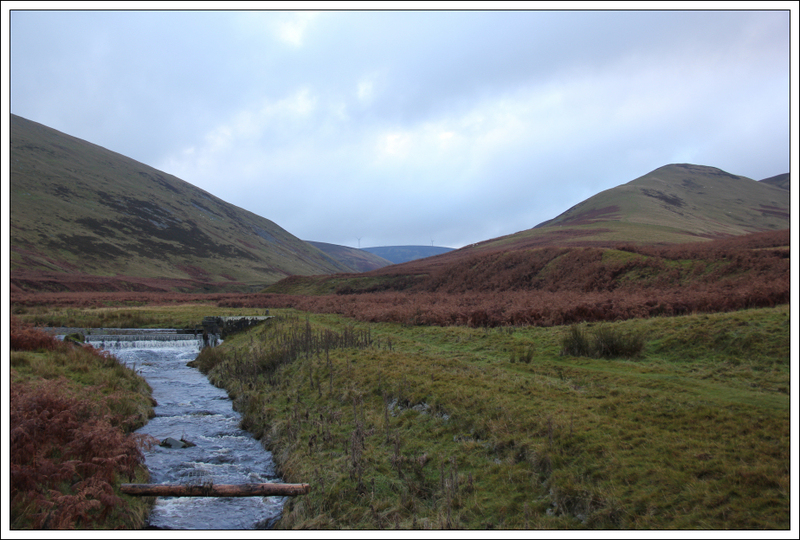 On crossing a bridge over the South River Esk, I spotted the first of numerous logs with snap traps. These traps are generally used to catch mink, etc. 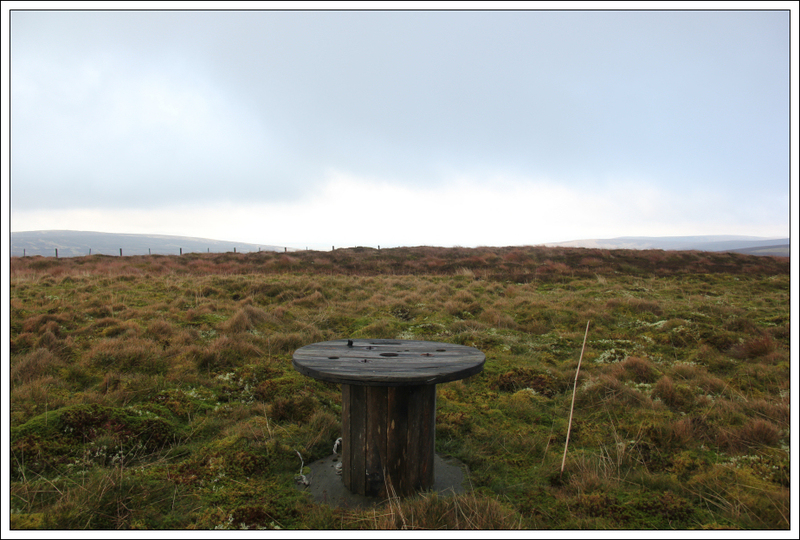 This type of trap is commonly used in the Southern Uplands on grouse moors. 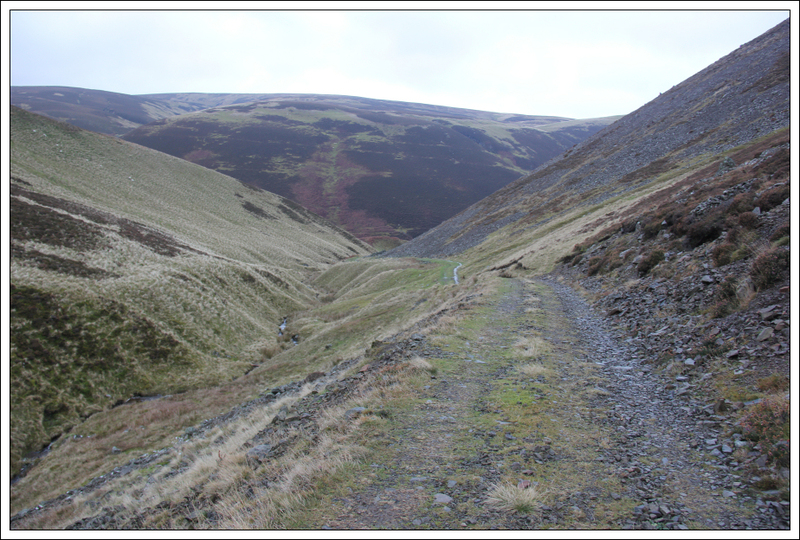 I eventually reached a track junction and took the left fork uphill towards The Kipps. 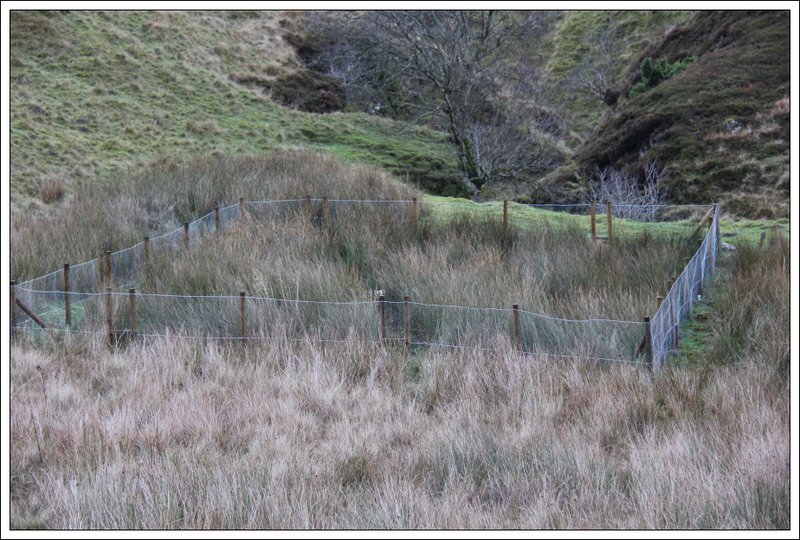 Near the junction I spotted a fenced enclosure with the carcass of a large animal inside. It was obviously some kind of animal trap but not a type I had come across previously. 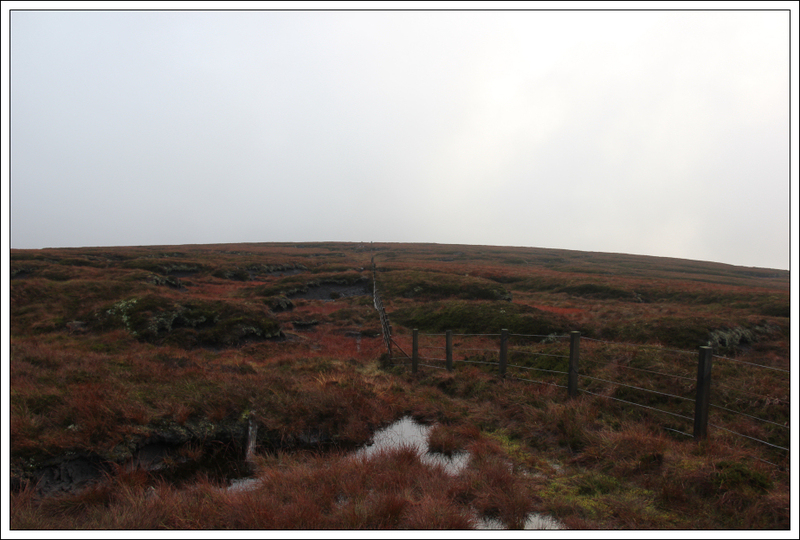 During the ascent toward The Kipps, I spotted another fenced enclosure again with the carcass of a large animal inside. On reaching the end of the good track what followed can only be decribed as a bogfest. 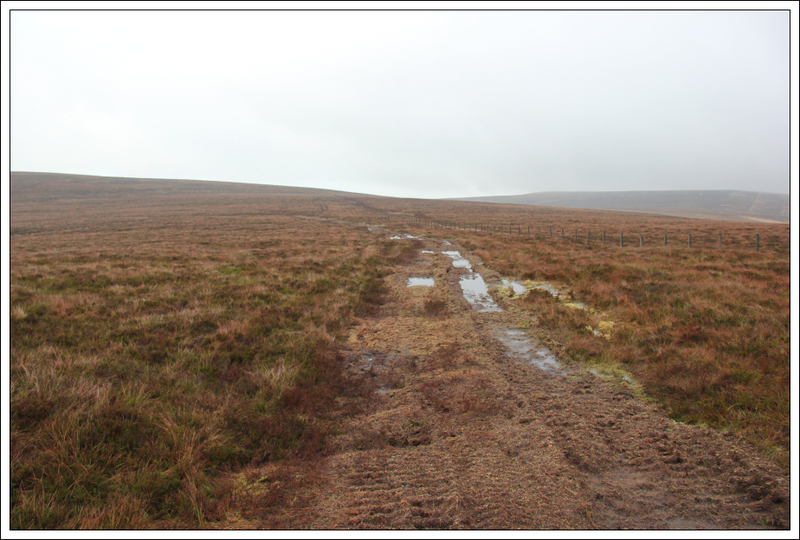 Very much squelch, squelch, squelch as I progressed along this track. Beyond the bogfest track the terrain improved somewhat only to deteriorate again in the final 100m or so to the summit. 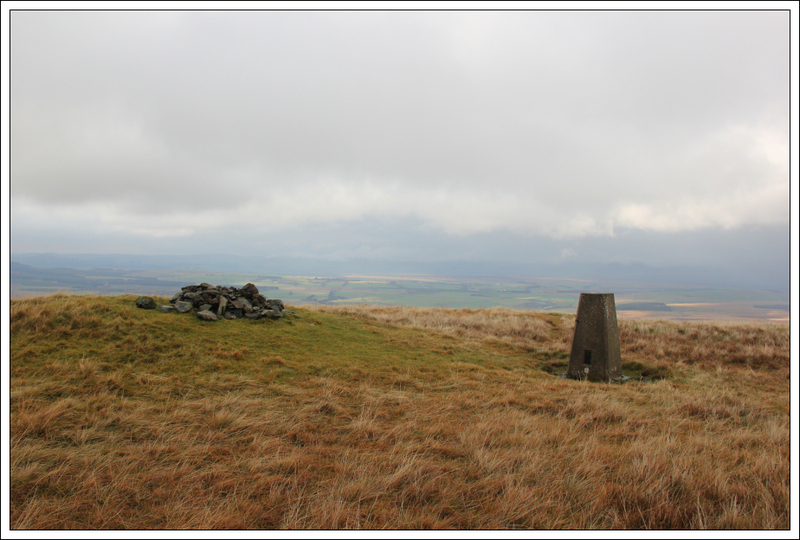 The summit of Blackhope Scar is featureless ground 15m from the trig point. Blackhope Scar is a Graham, Marilyn, HuMP, Donald and New Donald. 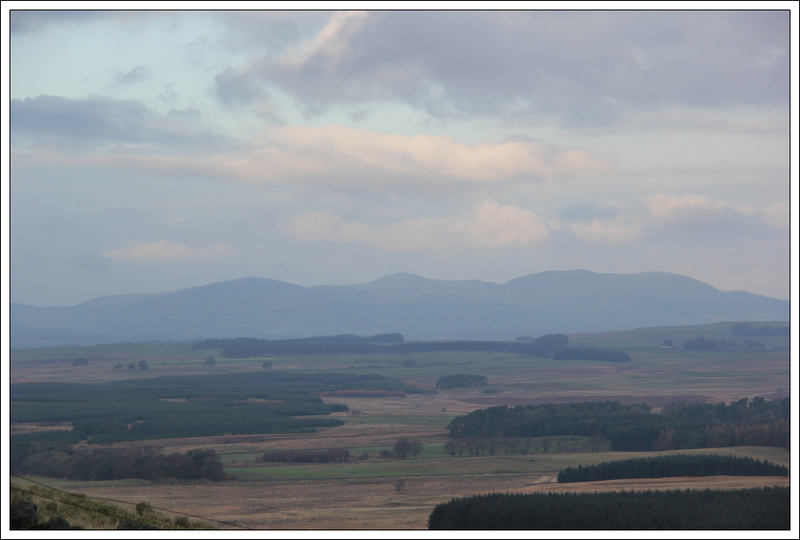 From the summit of Blackhope Scar, I made my way down the south-west ridge towards Bowbeat Hill. The terrain was again fairly bad. 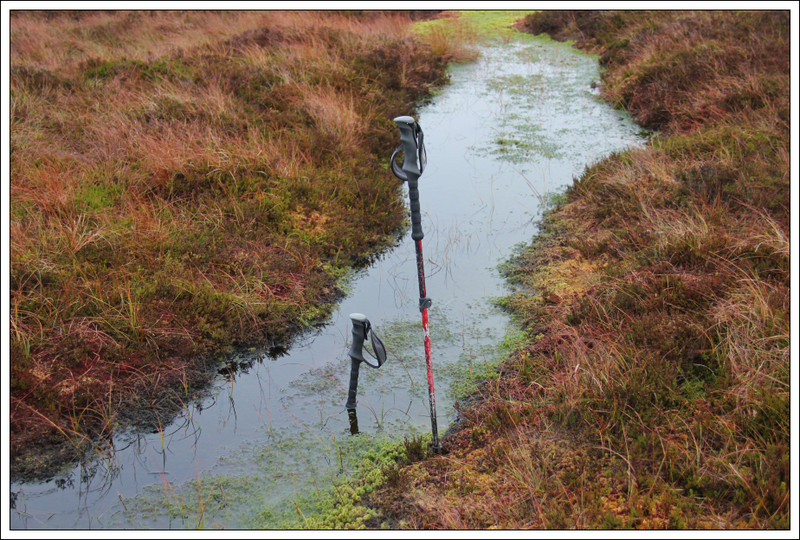 I tested the depth of one of countless pools with one of my walking poles. 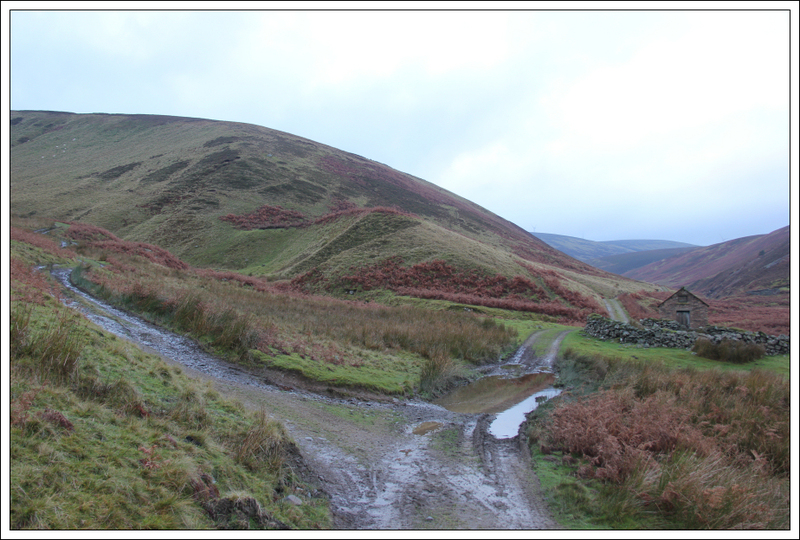 The ascent and descent of Bowbeat Hill is on over-sized, quality track. Why? 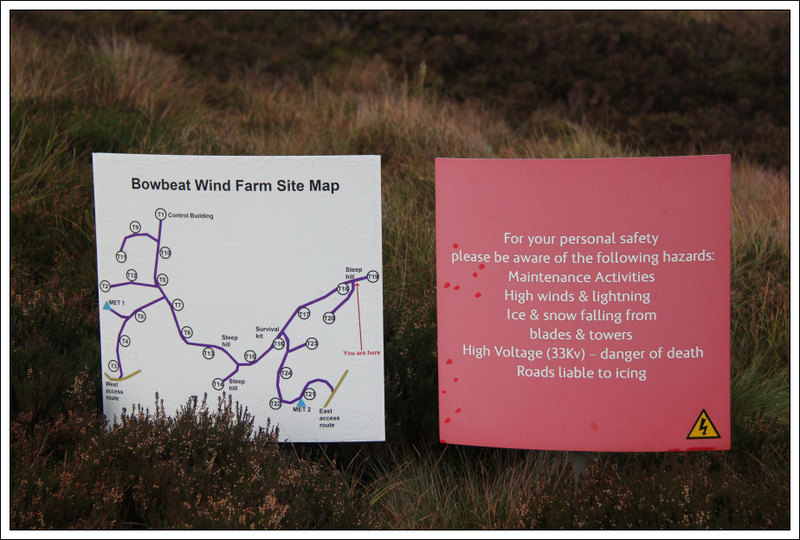 Because, Bowbeat Windfarm is located on Bowbeat Hill. 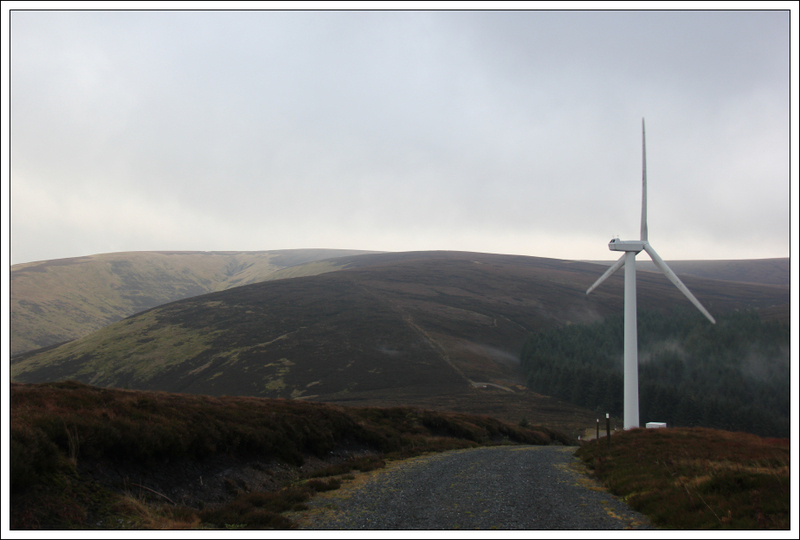 I am really not a fan of windfarms on hills. 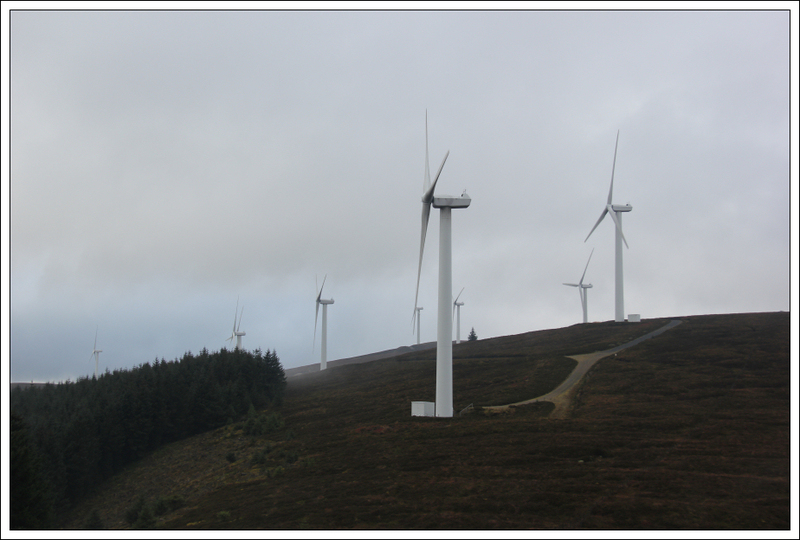 The turbines were rotating fast today. It is a bit disconcerting walking underneath the spinning blades which must be reaching speeds of 100mph or more at the tips. 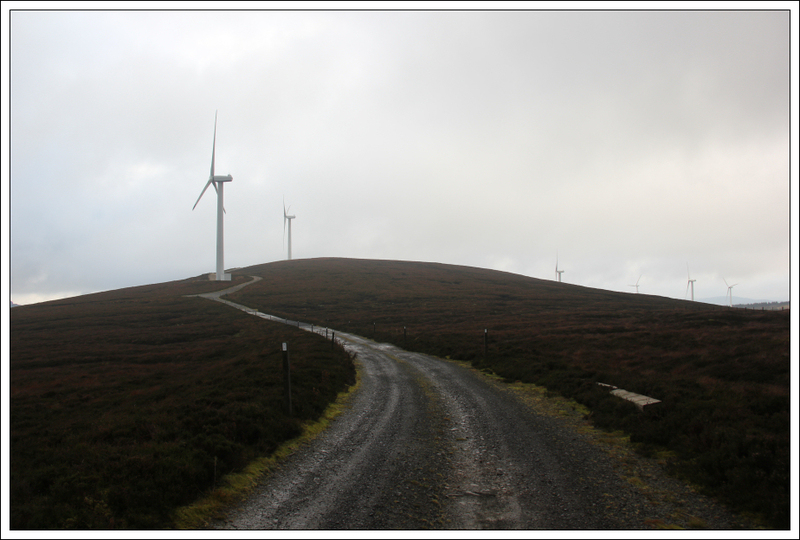 A few metres below the highest wind turbine, I took to the trackless hillside to ascend to the summit of Bowbeat Hill. I had a good walkabout around the summit area as the high point is not obvious. 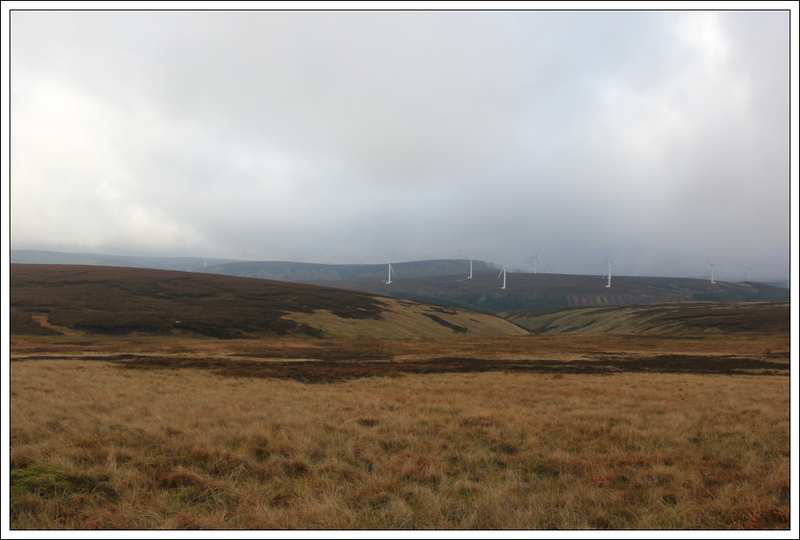 From the summit of Bowbeat Hill, I returned to the turbine access track which I followed out to the windfarm control room. Beyond the control room, it was back onto rough terrain. 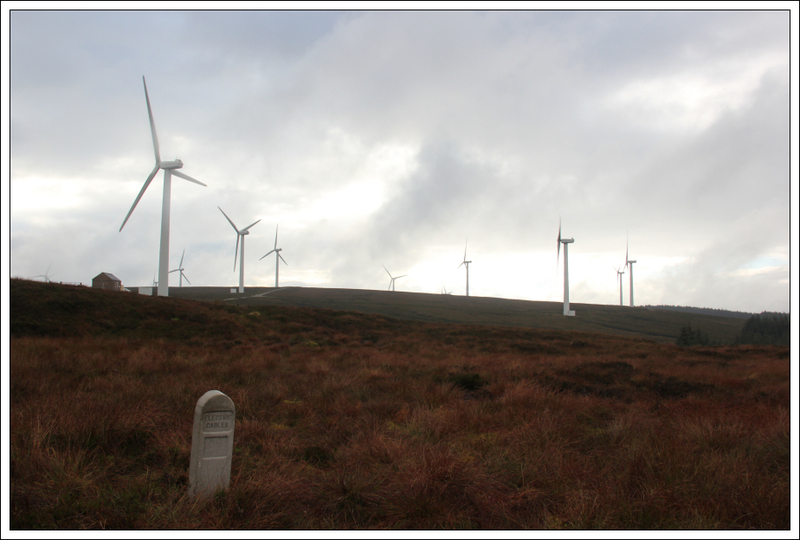 I followed a faint track which had a number of marker posts telling of buried Electric Cables. 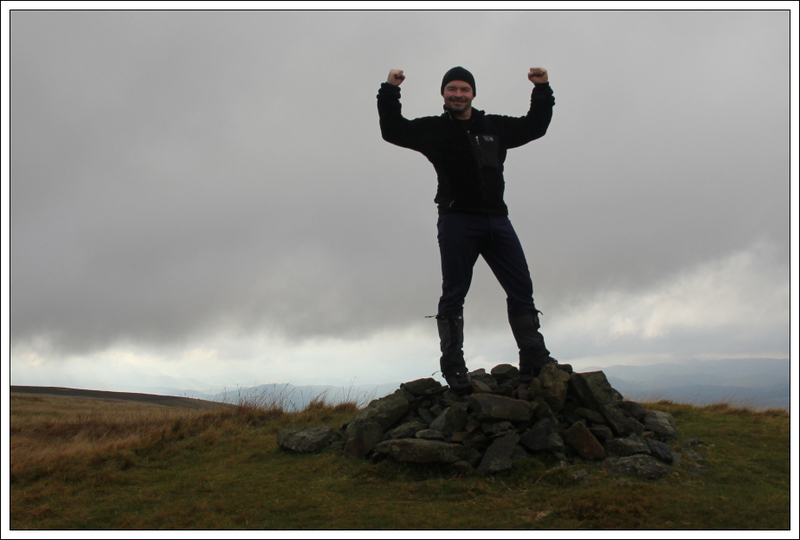 It was nice to finally approach the summit of Dundreich. 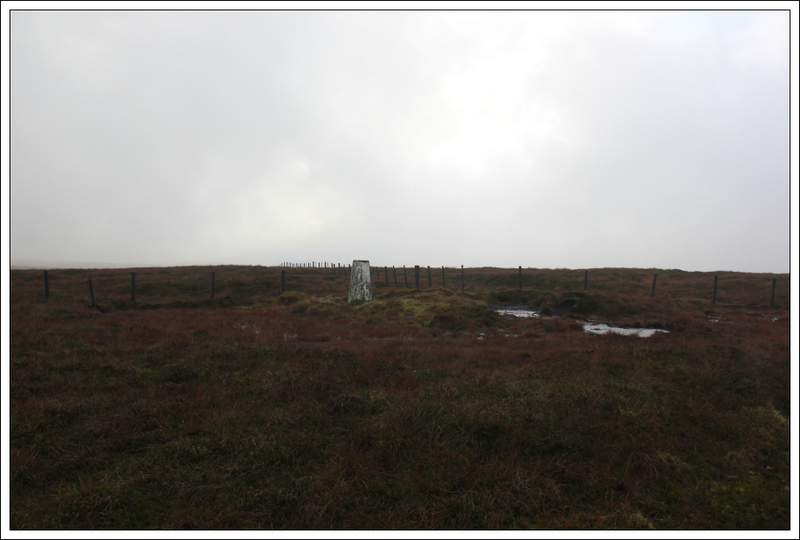 On reaching the summit I touched the trig point and then stood on the summit cairn. I had completed the Donalds and New Donalds . 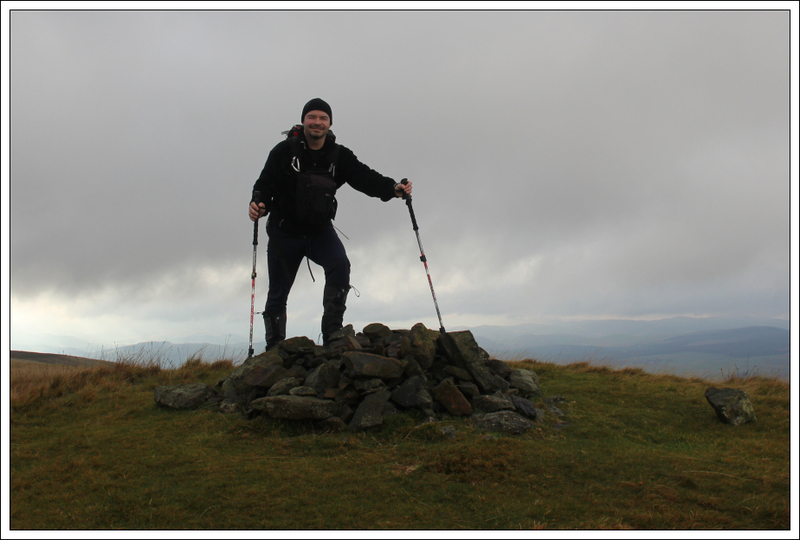 I rested my camera on the trig point and took several photos of myself at the summit. I also took one with my iPhone which I posted up on FB. 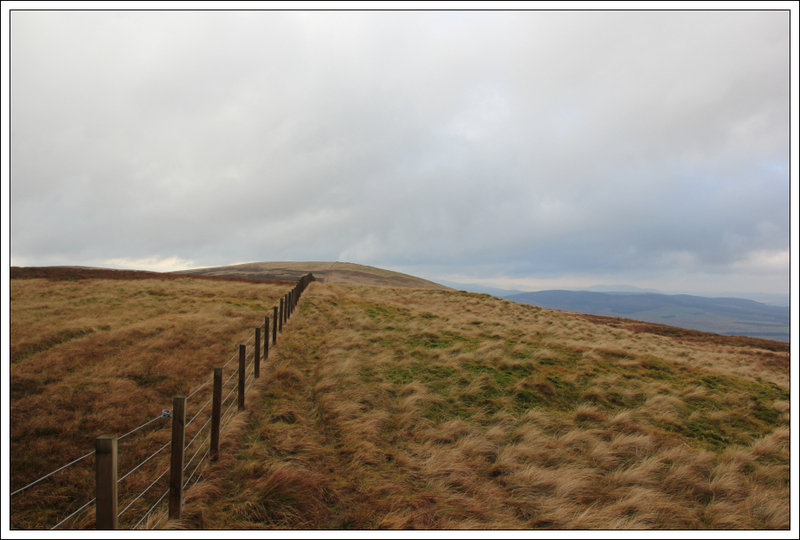 From Dundreich I made my way out to Jeffries Corse and then followed the fence downhill. 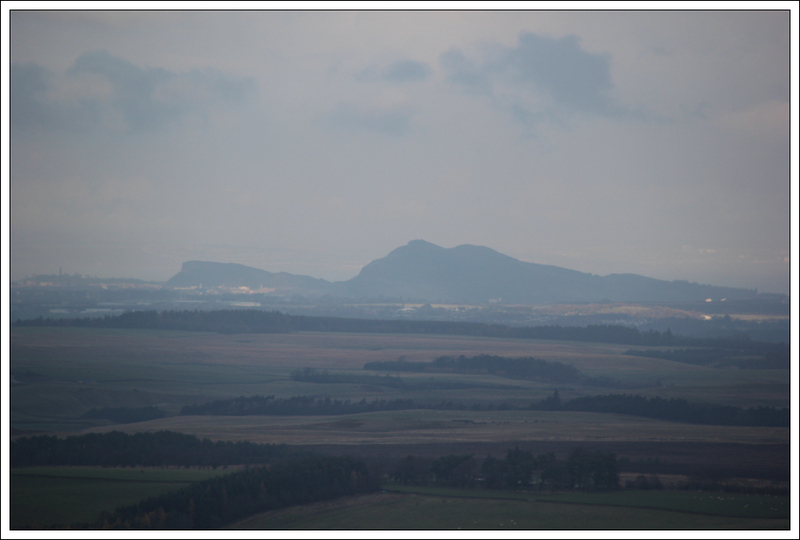 During the descent I stopped to photograph Arthur's Seat and the Pentlands. I was in a fairly happy mood until I reached Gladstone Cottage. Two dead foxes were lying just outside the cottage one of which was quite bloodied. This really got my blood boiling about this estate. I haven't posted up a photo as it is quite sickening. This estate is obviously very protective of its grouse. Snap traps everywhere, fenced enclosures baited with carcasses and dead foxes lying outside the estate cottage. Anyway back to the positive, I'm glad to have completed the Donalds/New Donalds but won't be doing a second round .